Paint the floor or polished concrete floor? 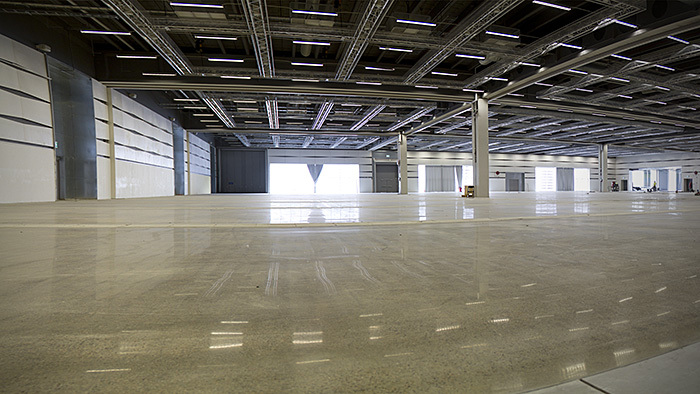 Is your warehouse floor dirty and worn? Are you looking to solve the problem by painting the floor? To paint the floor is a short term solution and for this reason also a costly solution. 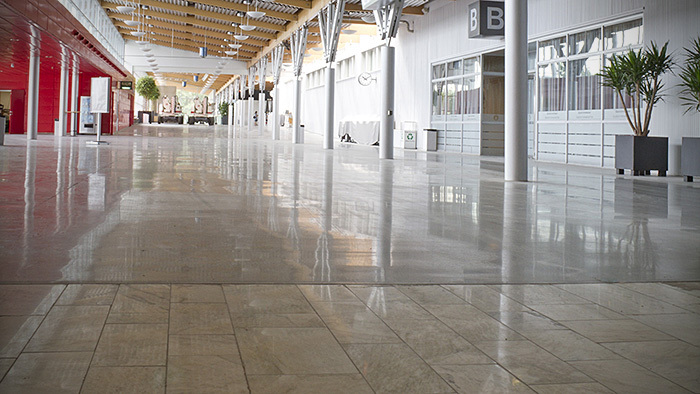 A much better alternative is polished concrete, if necessary with Stain Protection or similar protection. 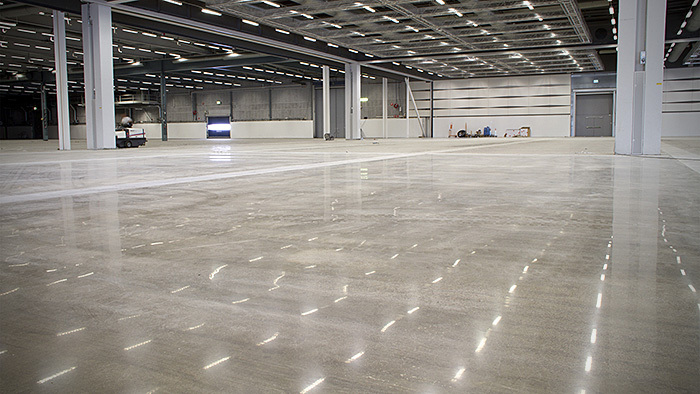 Many industries and warehouses paint the floor regularly to prevent dust from spreading but also for aesthetic reasons. It is often perceived as a cheap solution that even can be performed by the floor owner. However, to paint a floor is rarely a really good alternative. A nice looking, freshly painted floor quickly becomes dull and worn. The life of a painted floor is very short and after just a few months it looks old and dirty. The floor is hard to keep clean, the paint cracks and surfaces become discolored. Instead of painting the floor a polished concrete floor, an HTC Superfloor™, gives you all the benefits requested but with a much longer life. The cost, probably somewhat higher initially compared to painting the floor, is actually lower on a slightly longer perspective. Paint the floor could be an alternative if it is a short-term location but if it is intended to be used for more than a few years, HTC Superfloor™ is a much better alternative.